2011: The book “ Guide Quarin des vins de Bordeaux”, Edition Solar, was published. 800 pages, 5500 bottles commented and rated from the vintages 1994 to 2010. The comments are on a scale of 20 and 100 points with average prices and consumption dates. The introduction gives the keys to understand Bordeaux wines and vineyard. Mr Quarin also develops his unique tasting method “palate over nose “ and describes how to distinguish well-made wines from poorly made ones, great wines compared to good wines. Award-winning guide. This book was given the Nadine de Rothschild Prize in 2011 with the following comment:” On behalf of the jury, I would like to point out that the introduction was written in an extraordinary intelligent way, 50 pages which will remain in the history of the knowledge of Bordeaux wines”. Jean-Marc Quarin was born in 1955 in the Châteauneuf du pape appellation. His grandparents were vinegrowers, in Italy on his father's side and in the Languedoc-Roussillon region on his mother's side. As a teenager, Jean-Marc spent all his holidays next to Carcassonne (Corbières region), where he picked his first grapes. After high school, he decided to become a special education teacher. His parents moved to Arcachon and he studied at the University of Bordeaux. After graduation, at the age of 25, Jean-Marc Quarin decided to take advantage of being in one of the world's finest wine regions to take his first wine appreciation course. "I wanted to see if I would continue to value the wines my family had taught me to like even after training my palate". In 1984-1985, he took a course at the Faculty of Oenology "to learn about taste defects in wine" and obtained a degree in wine tasting with distinction. He also received practical winemaking experience at Domaine de Chevalier in Léognan during the 1985 vintage. While at this famous estate, he became familiar with the leading dry white Bordeaux at the time and learned from Claude Ricard, a great partisan of balance and tannic elegance in red wines. Jean-Marc took part in the tasting to constitute the final blend of the 1984 vintage with Emile Peynaud. "I remember that Peynaud recommended fining twice to smooth out the rough edges of this wine totally dominated by Cabernet Sauvignon. It went on to become one of the finest 1984s in all Bordeaux". 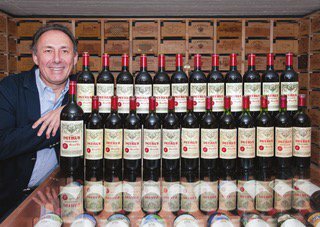 In 1989, Jean-Marc Quarin received his degree in education science, which involved writing a dissertation on teaching people how to taste.He then decided to create Bordeaux Quintessence. “Bordeaux Quintessence represents the period which enabled me to identify the enormous wealth of taste of Bordeaux wines. I became able to identify the specific tastes which come from this region and understand what differentiates one Bordeaux wine from another, and then what their differences are compared with other French wines and those from other countries wine critic when I stopped Bordeaux Quintessence in 1998 in order to set up the Carnets de Dégustations, an independent guide for the discerning wine lover, of which I am both the writer and the editor"
One of Jean-Marc's major strong points is the fact that he is based in Bordeaux. This enables him to follow the situation there closely, taste the new wines when they are very young, anticipate on their quality, and discover the most talented winegrowers. Indeed, "a wine's potential depends on what happens in the vineyard". For instance, barely one month after the harvest of vintage 2000, Jean-Marc Quarin published an article announcing the excellence of the vintage, even indicating Château Margaux and Cheval Blanc as the imminent stars. He did not mistake the strong tannins of 1994 for those of a great vintage. In 1995, he hailed the vintage in spite of the rains in September. He realised very early the exceptional quality of the Cabernet Sauvignon in the Médoc in 1996 while in 1998, he was the first to point out the outstanding level of the Pomerols. In 1998, the press recognised him as a gifted taster and writer, comparing him to the most famous in his field. 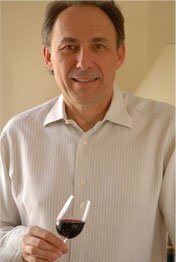 To help consumers find their way in the world of wine, Jean-Marc Quarin shares his tasting notes and his observations through his publications and training courses, as well as through the many conferences he is invited to world-wide. He also set up an organisation which offers customised wine tours. "As a matter of fact, says Jean-Marc Quarin, I use the values my first work taught me, such as humanity, sensitivity and good teaching methods, to explain in a simple manner about wine and its world, its taste and its subtleties." 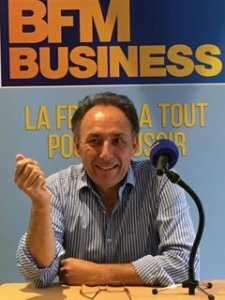 Today, in 2018, now turning in his 23th year as wine critic, Jean-Marc Quarin has written over 10 000 pages about Bordeaux wines and his unique data base contains more than 35 000 wine tasting reviews.